For a blogger the most important thing is to satisfy the readers and to get high ranking on search engine. The higher the place you get on search engine, the more the chances of earning money. The number of clicks on your adds will automatically increase as more users are going through your blog. Bloggers try a lot of tricks to improve their ranking on search engine but it is not so easy. Always be sure to make use of LSI factor. Actually, the search engine doesn't pick up a key word separately rather the keywords are linked together. One keyword has many other keyword associated with it and these are called LSI keywords. When you target a keyword in a post, also add its associated keyword in it. Search engine quickly picks such posts. You can search for profitable keywords with the help of search tools but if you are using a not so good search tool, you will not have access to all the keywords. You may miss out some important keywords so you should be very selective in case of search tools. Google Keyword Search Tool is the most comprehensive keyword search tool. It will tell you the most appropriate keywords for your blog and then you can use them to maximize your profit. 5 Mistakes to Avoid while Blogging! Facebook Buys Story lane! Now What? The algorithm of search engine is very clever so you can't cheat it easily. If you want to cheat it, you will have to be very careful. For example if you just joined the blogging world and are already getting hundreds of backlinks, it will be clear that you are not playing the game fairly. You should put less backlinks when you start blogging and then you can increase the number of these backlinks with time. In this way the search engine will nto be able to notice your trick and you will get a high rank. You should know who your competitors are. You can know about them by entering a keyword you use in the search engine. First of all search for the main keyword you use. Now you will get links of several websites, these are your competitors and you have to outdo them. One may is to play fairly and win the top position in several years while the other way is to play with a twist. 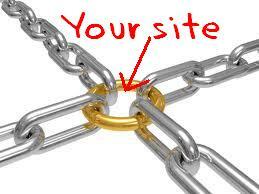 For example if your competitor has a total of 200 backlinks, you should get atleast 400 backlinks. The most important thing for a blogger is to satisfy his readers so you should put quality content on your website. It should be written only for your readers and you should not put a lot of keywords as it seems fake and your blog maybe blacklisted. So to get high rank you have to give information to your readers. The above 5 are the best tricks anyone can use to strengthen his position in the search engine. Start using them and you will start getting a lot of traffic at your site. BloggingeHow | Making Blogging Simpler: 5 Tricks to Improve Your Ranking!